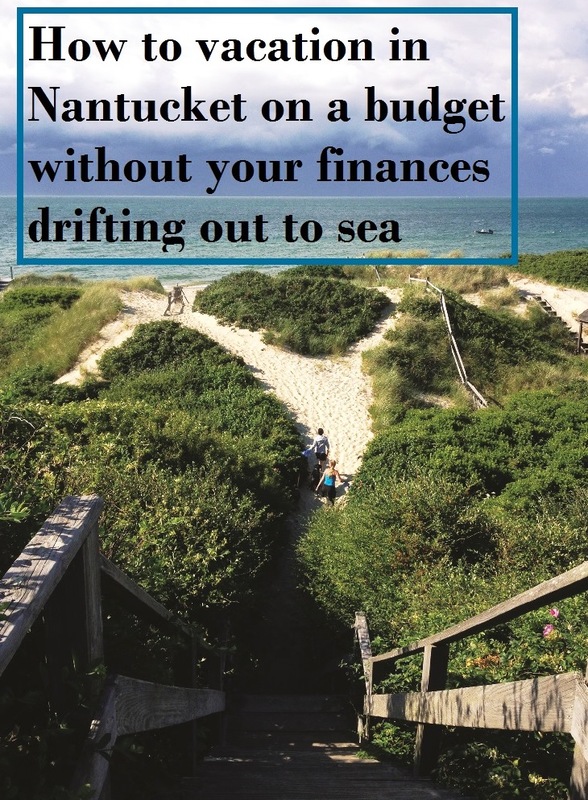 Some people feel that the Cape Cod island of Nantucket, although an amazing place, is a bit too pricey for the simple traveler or the family who is bit more cost conscious. Today I am here to tell you how to enjoy Nantucket, Mass., a bit more cost-effectively. Let me introduce myself. I am Kate Hamilton Pardee and I have been the Director of Nantucket Visitor Services for 20 years. I am here to help you experience the Island on a budget, but without making you feel you have to cut back on the enjoyment factor. I am sure I will miss some great ideas, and I can’t guarantee that there won’t be any costs, but I promise you this trip won’t break the bank. Plan to visit in the early summer on a mid-week day. 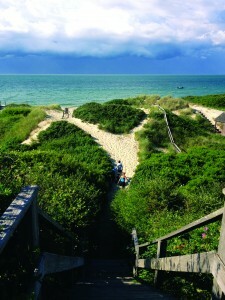 Before your arrival, order a free Travel and Lodging brochure from Nantucket Visitor Services. This will give you travel information along with telephone numbers for restaurants and bed and breakfast, attractions, along with their Island contacts. Remember the best travel experience is made in the information you collect before you depart for your trip. First book your passage on the boat, and if you are just coming for the day, check for any special travel rates. You can take the Steamship Authority slow boat, which is two hours and fifteen minutes, or a one-hour trip is available on the fast ferry through the Steamship or Hy-line Cruises. You can even bring your bike, fishing rod or your favorite furry friend on board. The slow ferry will give you plenty of time to do some quiet reading about the Island, or talk with friends or family. Sit on the deck with the wind in your hair watching for the Island to appear on the horizon. Rounding the Brant Point lighthouse as you come into port will be your first introduction to the special experience that is Nantucket. Your first stop should be at the Visitor Center kiosk on Straight Wharf, or the Visitor Center main office located at 25 Federal St. We will provide you with free maps, brochures and informational booklets. More importantly, we will give you the inside local scoop along with introducing you to the many museums, Atheneum events, or sites available to visit on foot. You will have your own personal tour guide helping with any questions you might have. Make sure you check out the bulletin boards as you leave, there just might be a free concert, lecture or Nantucket Historical Association Brown Bag Lunch lecture series being held during your stay. 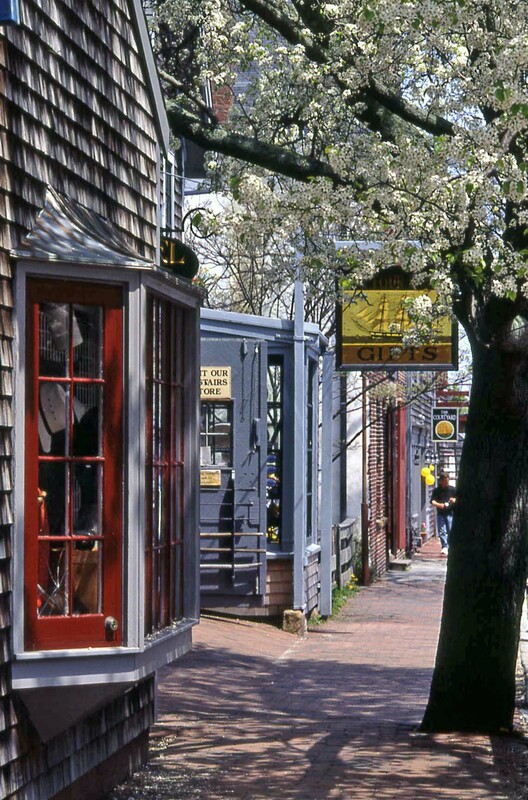 Begin your day by walking up the cobblestone streets to view the beautiful Main St. homes and gardens, climb the Congregational Church tower for a panoramic view of the island, and then grab a snack at the old-fashioned lunch counter at the Pharmacy on Main Street. If going to the beach is a priority, your wish has been granted. 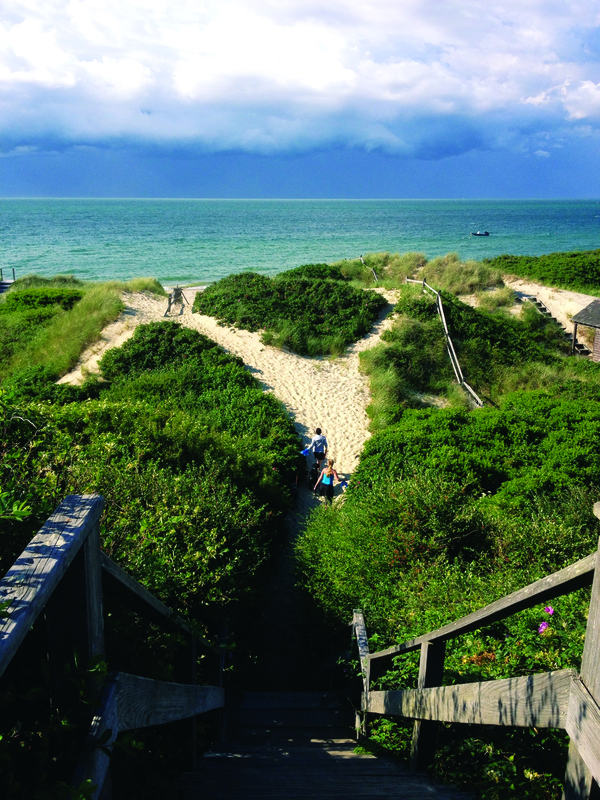 All you have to remember is sunscreen, because all Nantucket Town-owned beaches are not only beautiful, but also open free to the public, and there is a shuttle bus that travels to many of these beaches. Walk for miles, check out the south shore surf or grab a really tasty hamburger at one of the concessions. If you brought your fishing pole, keep in mind to look for a good spot to cast (make sure to order a permit from the state before you do). In town, walk to Children’s or Jetties Beach where your younger family members can play on the jungle gyms. Lifeguards are on duty, and you can eat your lunch outside on the deck. You will truly experience a million dollar view as you watch the many boats travel by. Feel like getting some exercise? Nantucket is over 40% conservation land with many self-guided trails open to the public, a great place to bring your leashed furry friend. There are also many bike shops to rent equipment to explore our incredible bike paths, and there our many sandwich shops along the way. Ride up to the Tupancy Links on the Cliff Road bike path, and walk to the end to be awed by the view of Nantucket Sound. It will take your breath away. For a longer trip, take the Polpis bike path and ride out to the famous rose-covered cottages in ‘Sconset. You will most certainly want to have your camera to capture the sight. For a Bird’s Eye View you can contact the Linda Loring Nature Center near Eel Point for information about their tours. After all this walking, exploring and sunshine, you now might be tired and thinking of staying the night. There is a youth hostel located in prime real estate right across from the beach at Surfside. All B&B’s, inns and hotels list their last minute accommodation information at the Visitor Center and the staff can help you find the right room. Contrary to some popular beliefs, there are rooms available for one night, and the Information Aides will even make the call to locate one. Have them suggest dinner at one of the area restaurants, or ask if there is early music playing. For one last stroll, go to the Strip on Broad Street and get some food to go. As the sun goes down you can check out a sunset, or as it grows dark, kick up the sparkling phosphoresce in the water close to shore. Still want to get a glimpse of some of the Island’s stars? Look up at the beautiful Nantucket’s night time sky or stop by the Maria Mitchell observatory for a viewing on one of their open nights. In the morning before you depart, make time to stop by the local Hospital Thrift Shop where you might find an amazing piece of clothing, book or an old Nantucket souvenir. As you settle back on the boat for your trip home remember to throw two pennies overboard while passing the Brant Point Lighthouse. As this historical tradition signifies, this will be a small investment in your future, to guarantee a return trip to this beautiful Island. On Nantucket we count the measurement of our true success in how welcome we can make all of our many types of visitors feel, and by making them want to travel back to see us again. Kate Hamilton Pardee has been the Director of Nantucket Visitor Services for 20 years. Please contact at 508-228-0925 or www.nantucket-ma.gov/visitor. Follow us on Twitter at https://twitter.com/nantucketbuzz. share the graphic below on Pinterest. Thanks!